Fabricated from steel plate, the LSE-2 Operating Stand is an ergonomic design and used to manually operate the derail block on SD Series sliding derails ON or OFF the rail head with less force and less bending at the waist. The high profile design protects operator’s back. The LSE-2 ergonomic operating stand has an adjustable throwing stroke, and red and white target vanes come standard. Available with optional blue or red “DERAIL” flag. 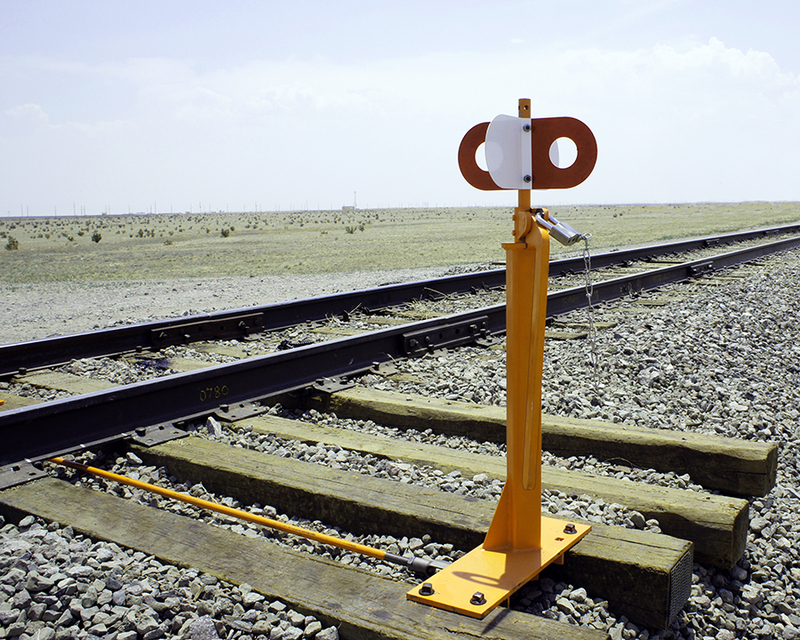 Installation of the LSE-2 Operating Stand requires two 14-foot long railroad ties (not included). For Derail Types SD-3, SD-4, SD-5, and SD-6. Weight 90 lbs. (40.82 kg). Use Connecting Rods RA1566-2A for near-rail application; use RA1566-2B for far-rail application.